It’s that time of year! Holiday parties at work, get-togethers with friends and family dinners. All diets are out the window and “I’ll start over in January” is on repeat in our minds. But this doesn’t have to be the case. Did you know on average there are 344 calories in 8 ounces of eggnog? And who just drinks just 8 ounces?!? Holidays are full of not only food, but libations, punches and all sorts of holiday liquid concoctions. So make yourself a promise, for every sugary beverage you drink, you will drink 2 cups of water. We’re talking one 16 oz bottle of water. You can do it! And before you know it, you’ve accomplished Day 16’s tip as well—Upping Your Water Intake ;). When it’s time to eat, your eyes usually go straight to all the things you love . . . and if you are anything like me, NONE of those things are “smart choices”. Take your time and survey all the foods. From there, fill your plate with the lighter options and then go back for the items you’ve waited for all day. Now, I’m sure some of you are thinking—“What if what I really wanted is all gone by the time I go back?”—and as you see, I’ve had that thought too. The solution is to take a small amount and put it on a second plate, with the first plate being the lighter options. Therefore, when you sit down to eat, finish the first plate and then go for the second. Problem solved. The holidays are full of friends and family, which often comes with conversation, lots of laughs, and reminiscing. All of this usually takes place while eating and we’re distracted from how much food we’ve actually consumed. Try slowing down. Appreciate how the food tastes, pay attention to how many times you chew before swallowing and listen to your body. It takes approximately 20 minutes for your brain to let you know you’re full. Slowing down allows you to get the signal before you’ve eaten yourself into oblivion. 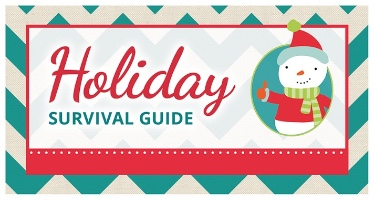 For a complete copy of the 21 Day Holiday Survival Guide, email us! All of the information on this website is published for general information. 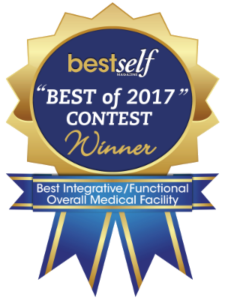 The information on this website does not constitute medical, mental health, legal, financial or any other kind of professional advice.